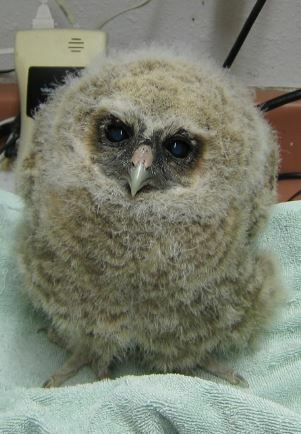 This Spotted Owl baby came from Mill Valley. Let's hope his human neighbors get rid of any rat poisons on their properties! WildCare's first annual Rat Poison Take Back Day in partnership with Marin Sanitary Service was very successful! WildCare supporters and Marin Independent Journal readers brought in containers of toxic rat poisons for proper disposal at the Marin Household Hazardous Waste Facility, and received kudos and a bit of education from WildCare staff onsite. The event was so successful, and is such a great partnership with our friends at Marin Sanitary Service, we hope to hold Take Back Day every year! 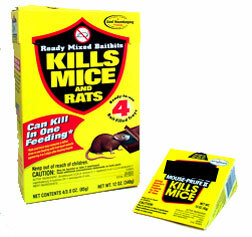 Why: Let's get rat and mouse poisons out of the environment by disposing of them properly! The California EPA’s Department of Pesticide Regulations recently restricted the sale and use of anticoagulant rat poisons (also known as rodenticides), and that new restriction takes effect on July 1, 2014. 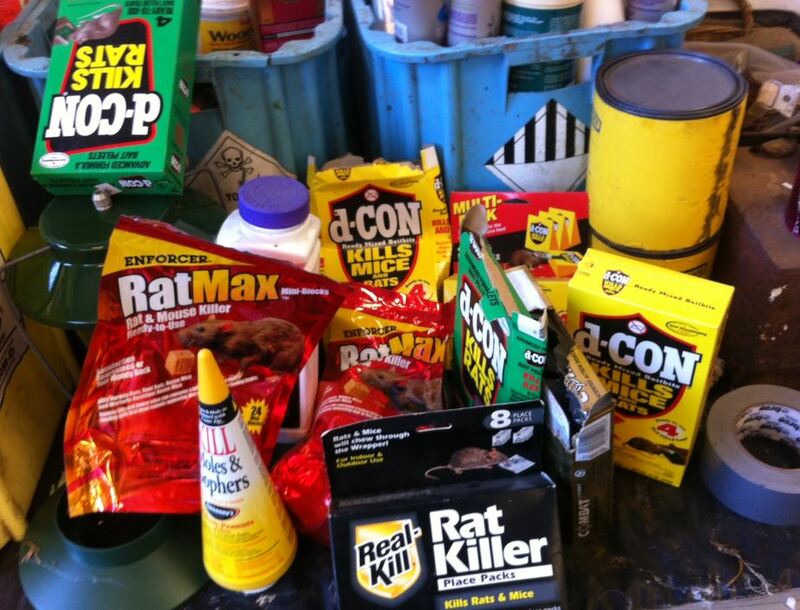 Because WildCare is committed to removing these poisons from our environment, we have partnered with the Marin Sanitary Service to offer a free opportunity for residents of Marin County to drop off any rat poisons they currently own for no charge at the Marin Sanitary Service’s Household Hazardous Waste (HHW) Facility on Saturday, July 12 from 8:00 AM until 3:30 PM. The HHW Facility is located at 565 Jacoby Street (the street that runs behind the Wendy’s restaurant on Andersen Drive) in San Rafael. For instructions and more information about disposing of hazardous waste, please see Marin Sanitary's Household Hazardous Waste website. WildCare staff and volunteers will be on site to educate and inform visitors about the hazards these poisons pose to wildlife, pets and children from 10:00 AM until 3:00 PM. This is a free service offered by the Marin Sanitary Service. Take a look around your home, garage, storage areas to collect any rodenticide products and drop them off on July 12. Talk to your neighbors as well, the more poisons we get out of our environment and habitats the better!